1/4 package Eden Whole Leaf Dulse, abt 1/3 oz. Preheat the oven to 400°. Place the dulse on a baking sheet and bake for 15 until crisp. Remove dulse from the oven. Toast the bread in a toaster. 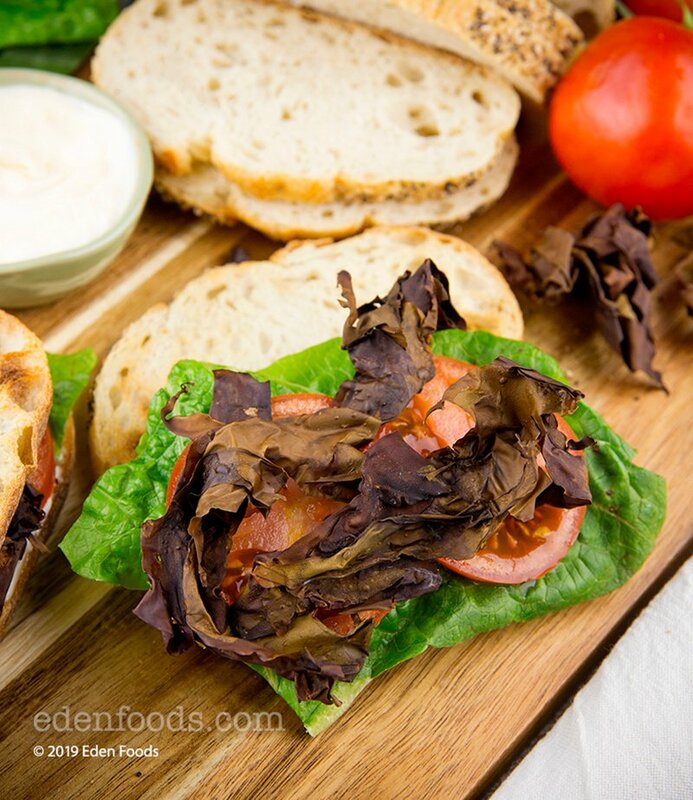 Spread mayonnaise on two slices of toasted bread and top with lettuce, tomato and baked dulse. Spread mayonnaise on the remaining bread and place on top of sandwich. Slice and serve.